The Blue Monster is not a myth of Mahé island. Rather than being a barnacle-covered creature that crawls out of the depths of the ocean every night to terrorise tourists, the Blue Monster is just this Seychellois island’s most popular form of public transport – the humble bus service – and it’s very much a reality. Although the whole “terrorising tourists” part is probably still true. Named officially for their striking blue colour, but more definitively for the way they careen around the hairpin bends of the island’s mountain passes yet miraculously remain upright, as well as for the piercing shrieking noise made by the brakes as they pull to a stop, these buses offered a cheap means of getting around Mahé. But, it wasn’t always easy. It was aboard these buses that I had the most realistic glimpse into daily, working life on an island more readily associated with paradise honeymoons. It was also thanks to these buses that I had some of my most revealing experiences while traveling in the Seychelles. Let’s start with the Sunday bus that didn’t arrive. After two weeks of hard graft volunteering on Curieuse, Sam and I had returned to Mahé (the largest inhabited island in the Seychelles and home to its capital city Victoria) for a few extra days of tropical exploration. Arriving back on Mahé was an assault on the senses like no other. This time it wasn’t about the surreal, “I didn’t know you could do Photoshop in really life, though” beauty of the Seychelles. After being on Curieuse, my eyes had somewhat adjusted to the fluorescent colours of the ocean, the palm trees and the sea life. The problem was that I’d also adjusted, almost too successfully, to living on a remote island with an official population of seven humans. In stark contrast, the Seychelles Round Table Regatta happened to be taking place on Beau Vallon beach over that same weekend and it felt like Mahé’s entire 77 000-strong population (and then some) had descended upon the area. There were yacht races, market stalls, live music and many a colourful drink in hand. It was frenetic, and loud and wonderful. And I wasn’t ready to engage with any of it. Safe to say, that first Sunday back on the mainland called for a hasty retreat from civilisation. Eddy, the manager at our hotel Georgina’s Cottage, recommended escaping to a small secluded bay accessible only via the Sunset Beach Hotel. The corals reefs teeming with life make this an ideal snorkelling spot, but I was already sold at the word “secluded”. Eddy explained that Sunset Beach is just a 5-10 minute bus ride from where we were staying in Beau Vallon, and pointed to the bus stop across the road from our accommodation. We stood for a whole two minutes and, voila, there the Blue Monster appeared. We asked some friendly passengers where to get off, easy peasy, followed them through the hotel gates and on to the gorgeous beach that would be our sanctuary for the morning. Sam happily took up residence on one of the hotel’s loungers in the shade of the lush palm trees lining the beach, and I donned my snorkel gear. I had one of my favourite Mahé snorkel sessions that day. At one point I was completely surrounded by hundreds of striped Seargeant Majors, perfectly visible in that dazzlingly clear water. Once we’d soaked up some sun and depleted our snacks, Beau Vallon beach beckoned us home for lunch. We hadn’t looked at a schedule before leaving Georgina’s, nor did we have a map. But, we naively assumed a bus would be coming past the shelter near the entrance to Sunset Beach soon, as it had when we left that morning. We waited and we waited. A couple little cars raced along the narrow roads, but none were our Blue Monster. Sitting and sweating in the sticky heat, growing only more hangry and impatient as the minutes ticked by, we eventually decided to start walking. We halted our trek at the next bus stop and waited again. Again, nothing. The walk home continued and a bus shrieked past just at the most inconvenient time – with no intention of picking up some manky-looking South Africans from the side of the road. I wanted to throw my flipper at its rear window. What felt like a year and a half later (but was probably only 30 minutes), a buzzing Beau Vallon eventually came into view. My skin was well chargrilled, the heat had sapped what remained of my energy, and I’d completely lost my sense of humour and adventure. I almost forgot I was hungry. Almost. After that experience, I also almost vowed not to take another bus for the duration of my stay on Mahé. But, that was a feeble promise that lasted a whole half a day. Mahé is a big-ish island and there’s much to be seen. The easiest (except, obviously, on Sundays when they clearly don’t run as frequently) and cheapest mode of transport is the bus system. A fare of 5 Rupees will get you from point A to point B, regardless of distance, for a single trip. These trips, however, can also be aggravatingly time-consuming. 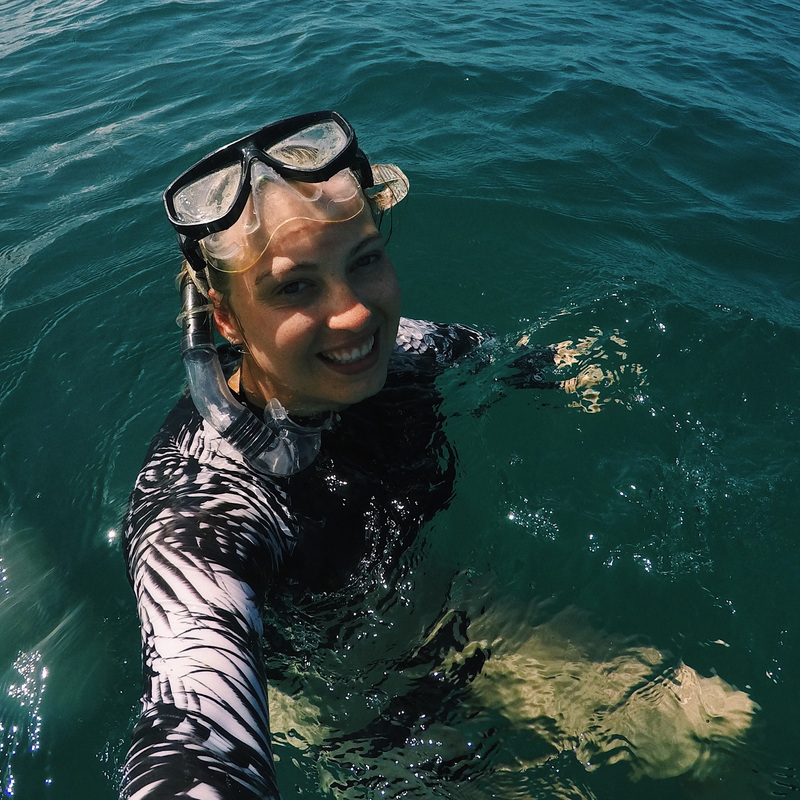 This Sam and I found out the day we decided to mission from Beau Vallon to Port Launay Marine National Park. I thought the beach, which is backed by the luxurious Constance Ephelia hotel, was one bus ride away. It ended up taking two separate buses and well over two hours to get there. But, being stuck on a bus for a couple hours and not in the mood to chat (owing to our cramped condition coupled with the extreme humidity), gives one ample time to observe, whether it’s outside the window or inwards – at the whole slice of Seychellois life taking place on the bus. I stood, hands clenched for dear life on the back of a seat, and watched how swiftly and unthinkingly other passengers gave up their seats for the elderly. A dainty and frail old lady boarded the bus, and used nearby hands and elbows to steady herself as she found her place, without even a flinch or a blink from the owners of said hands and elbows. She was followed by a young woman, wearing a head scarf and carrying a small baby, which another seated female passenger reached out to hold and keep safe during the Blue Monster’s unstable ascent into the mountains. I might have had sweat dripping down my back and been pressed too close against strangers on the bus for too long, but I also came to realise that I was fortunate to be in that position. To travel is to engage with alternative realities, and it’s only when you immerse yourself into parts of another country’s normal, daily routines that you can truly gain some understanding of its culture. Sure, taking a taxi (as we did on the journey home) was quicker, more comfortable and air-conditioned (albeit ludicrously expensive). But, it was also a very removed experience. Therein lies the difference (in my opinion, at least) between traveling and going on vacation. I think the essence of traveling is to be sweaty and uncomfortable, sunburnt and ravenously hungry, giving yourself stern talkings-to because you’re being a princess, not knowing where you’re going and discovering whole new realities and people and foods on your way there. While being on vacation makes me think of blissful relaxation, when you travel you’ll probably be constantly on the move and sometimes in a foul mood because of it. You might want to throw in the towel, or just throw your flipper at fast moving, bus-shaped targets. But, before your attitude really takes a turn for the unappreciative, then you’ll arrive at a beach like Port Lornay, that’s so beautiful it’ll make you want to cry. You’ll get kicked off the plush loungers in front of the Constance Ephelia hotel and have to take a walk of shame to Port Lornay’s “Designated Pleb Zone”. But, you’ve already used your allocated grumpiness for the day so all you can do is laugh hysterically with your best mate and take the embarrassment in your stride. You’ll swim in water that’s magically both warm and refreshing, and think yourself a fully-fledged mermaid that’s how many brightly coloured, tropical fish you’ll befriend. You could even eat the best chicken shawarma you’ve ever laid your hands on and inhale it so fast you might need another one just to make sure it really was that good. And, once you’ve spent the afternoon working up an appetite while snorkelling with your fish friends, you’ll be taken aback by the quality of Baobab’s pizza, and then by the fact that you even got a table for dinner at this tropical, beachside, miniature slice of Italy. Then the sun will set and cast the sky a mesmerising golden shade, and you’ll know it’s all so worth it. The thing about travel is that it should challenge you. It’ll make you a little bit crazy, and bring out the Blue Monster in you, and then it will make you a better person – one that’s more aware and compassionate and just so HASHTAG WORDLY. Well, let’s hope. All these vaguely profound things were running amok through my mind while traveling back to Beau Vallon from a day trip to the capital city, Victoria. I was sitting in another suffocatingly hot bus. Beads of sweat were dripping down from my temples, my thighs were sticking to the plastic chair covers and I’m pretty sure I had on one of those “Do. Not. Talk. To. Me.” faces, worn by every over hot and extremely bothered tourist in a climate they’re not even a little bit acclimatised to. I just wanted to sit there and let my thoughts drift. Clearly my face wasn’t closed enough, though, because an elderly man with wonky, milky-blue eyes squished himself in next to me and promptly started chewing my ear off about the importance of religion. He wasn’t perturbed at all by the 600% humidity (there wasn’t even a bead of sweat on that leathery forehead), but found my choice of profession (for ease of explanation, I said I’m a journalist) particularly suspicious. He paused, had me thinking for a moment I’d scared him off, then continued his soliloquy. I just sighed inwardly and thought, you know what, I’m kinda hating this, but I’m also kinda loving this – hearing this old man’s world view, and then wondering where else he’s travelled (if at all), what else he’s seen, who he has loved, whether he has kids and what do they do? Let’s get real, though, the only thing that really goes on vacation when I travel is my spelling and grammar, as I scribble down these thoughts so fervently in my journal, so I can bring such stories, like this one of the Blue Monster, to you. In a couple of days I’ll be heading to our holiday home in Plettenberg Bay for six weeks of summer fun. I’ll be sharing a bit of that with you, so follow my blog to stay up to date with my shenanigans, and head on over (and subscribe) to my YouTube channel while you’re at it.